It seems Bobby van Jaarsveld is enjoying his vacation in Egypt - just take a look at the pics. Afrikaans singer and actor, Bobby van Jaarsveld is currently in Egypt enjoying some downtime. The Voice SA judge is taking full advantage of the hot weather in this region - spending his time snorkeling and diving in the Red Sea. 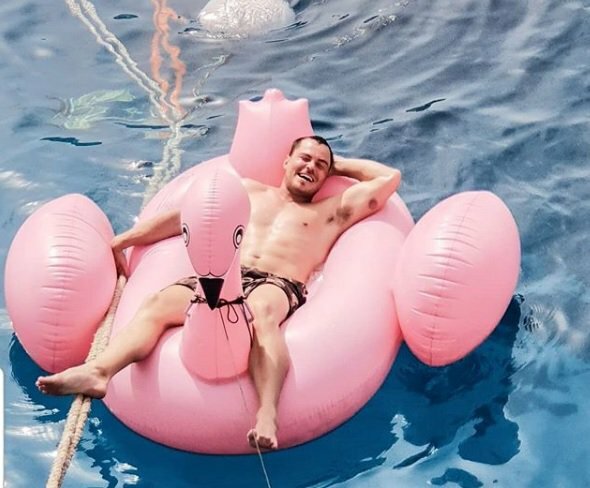 Bobby has described the experience as being "on another level", and he captioned a photo of himself floating a pink flamingo on Twitter; "My happy place".